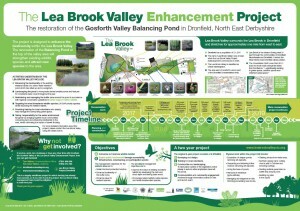 AdPlace Marketing and Media has recently completed two design tasks for the Lea Brook Valley CIO (LBV CIO). 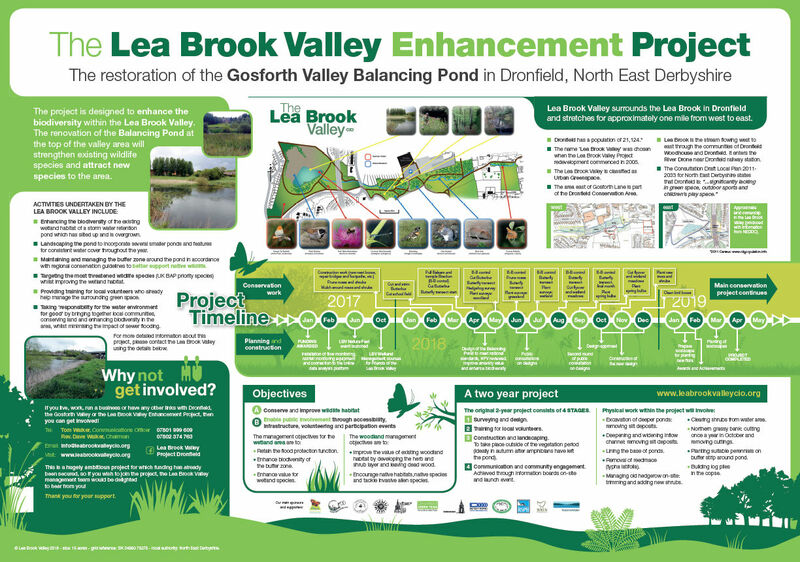 Known locally as the Lea Brook Valley Enhancement Project, the LBV CIO is dedicated to the restoration of the Gosforth Valley Balancing Pond in Dronfield, North East Derbyshire. The project is designed to enhance the biodiversity of the valley area and involves landscaping the pond, the maintenance & strengthening of wildlife species in the area and encouraging volunteers to help with operations. The work provided by AdPlace Marketing was for the design of new display panels to provide information, a timeline about the project and what is going on at the site. The brief was then extended to the design of a new corporate identity which features a Damsel Fly in a colourful presentation that will soon be seen on promotional materials, public relations and in social media. Lea Brook Valley surrounds the Lea Brook in Dronfield and stretches for approximately one mile between Dronfield railway station and the balancing pond – which is situated off Gosforth Drive. For more information about the LBV CIO and the Lea Brook Valley Enhancement Project, or to get involved as a volunteer, please contact Tom Walker on 07801 999609. Pictured left is the new logo designed by AdPlace Marketing that features a Damsle Fly, a species seen in the Lea Brook Valley.